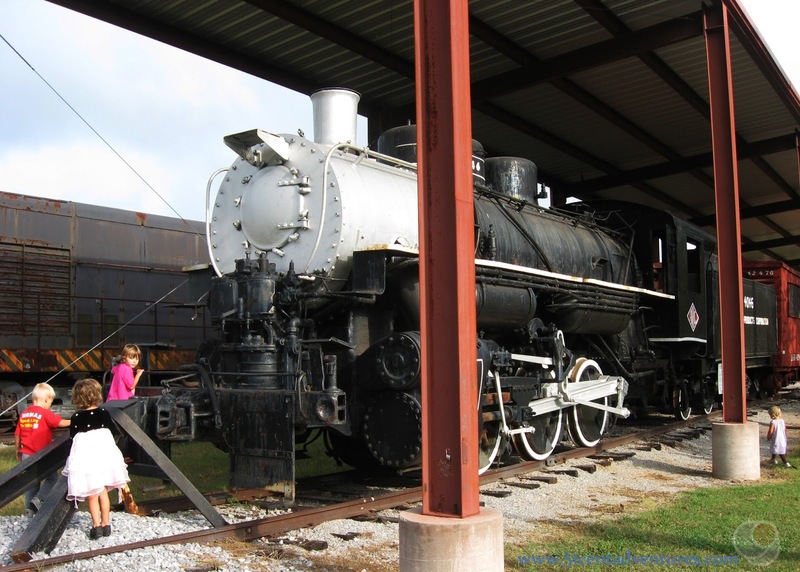 Description: The Heart of Dixie Railroad Museum has something for just about every train enthusiast. There are historic train engines, box cars, and signals on display outside the museum. Inside the museum there are actual pieces of train equipment from years gone by. 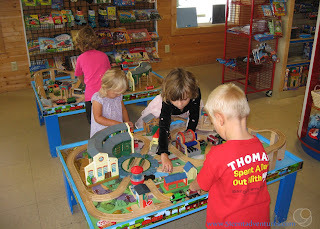 The gift shop has train books, movies, and toys to buy - as well as a toy train table for kids to play with. 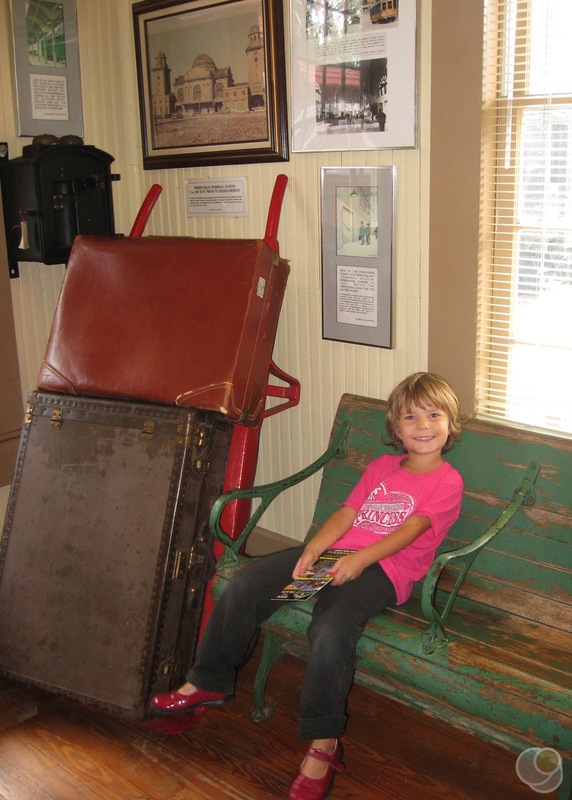 Inside a historic train depot you can purchase tickets to go on an hour long train ride. This is also a stop for special trains such as Thomas the Train and the North Pole Express. There is even a train library that is open by appointment. Location: 1919 9th Street in Calera, Alabama. 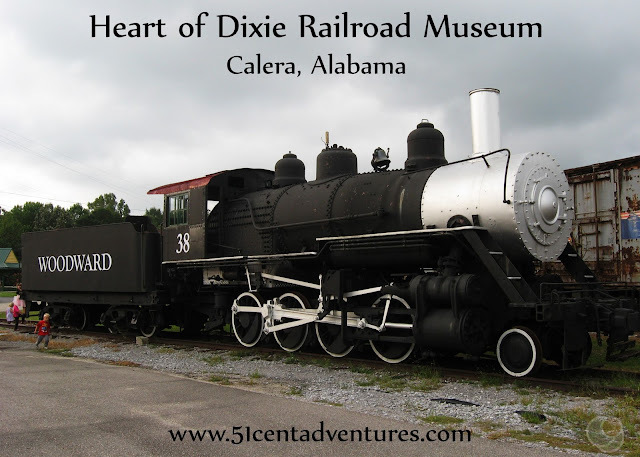 Calera is just 35 miles south of downtown Birmingham. Cost: The museum is free. However, riding the trains costs money. Ticket start at $14 for an adult and $10 for a child. The cost increases for different seating options and special events. 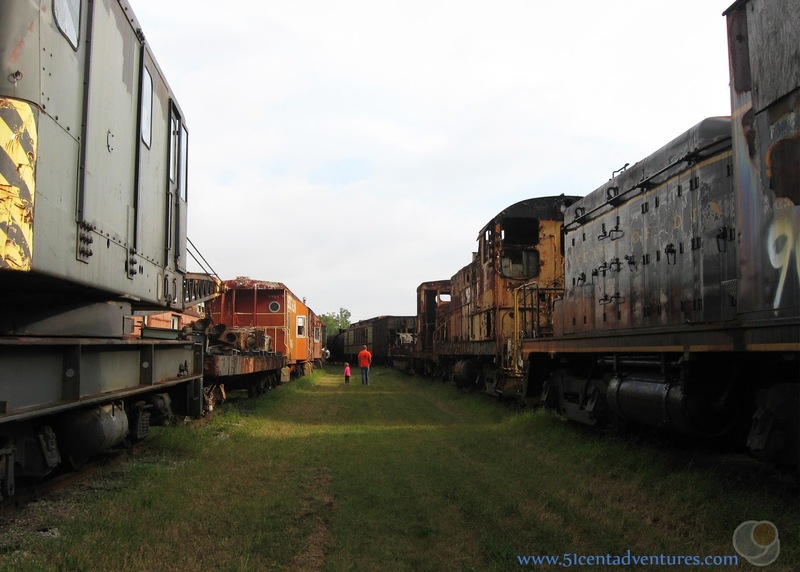 Operating Seasons and Hours: All the trains are outside so you can visit them anytime. The gift shop is open from 9:00 am to 2:00 Tuesday through Friday and from 9:00 am to 4:00 on Saturdays. The museum opens at 10:00. There are train rides every Saturday at 11:00 and 2:00. Special event trains have different hours. 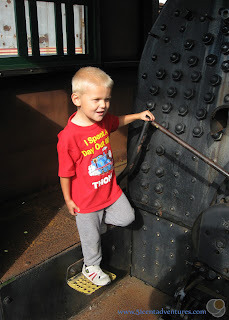 My three year old son loves trains. Actually that is an understatement. My son is obsessed with trains. I bought him a little magnetic train set last Christmas and he played with it for three months straight. Anytime we travel anywhere he eagerly looks out the window hoping to see train tracks with a train on them. He can spend hours watching train videos on Youtube. Trains are his passion. I'm just fine with this because I love trains too. Not near as much as he does, but I was visiting train museums long before he was born. I'm always more than happy to take my family to see another train museum. Last weekend we were going to be in the Birmingham area for an activity with our church. The activity wasn't until Saturday afternoon so I wanted to find something to do in the morning. I googled Free Things to do in Birmingham and found a list of 25 Free Things. The Heart of Dixie Railroad Museum was number 14 on the list. I'd already booked us a hotel for Friday night, and it just so happened that the hotel was in Calera which was the same town as the museum. This trip was definitely meant to be. We had a nice night in the hotel, but as always our kids woke up insanely early. Even with taking our time with packing up and eating breakfast we were still at the museum by 8:15. Luckily, all the trains were outside so we didn't have to wait for the museum to open. I really liked being there early in the morning. The day hadn't had a chance to warm up and get muggy yet. Plus our kids were all in good moods because it wasn't even close to nap time. This was a nice change of pace from the terrible trips with hot weather and whiny kids that have plagued us this summer any time we tried to go somewhere other than the beach. My husband and I remarked that we should stay in a hotel first every time we travel anywhere. The museum is situated on both sides of 9th Street. One side has the gift shop, the museum building/ticket office, the working train that you can ride, the signal yard, a train engine, and a few cars. The other side of the street has the Clark Train Yard. I think this yard was my favorite part of the museum. The yard is named for a former president of the museum, Wayne Clark. He and a small volunteer crew built this yard by hand to display various engines and cars. It was very interesting to walk between the cars and see them up close. There were also two large engines on display. 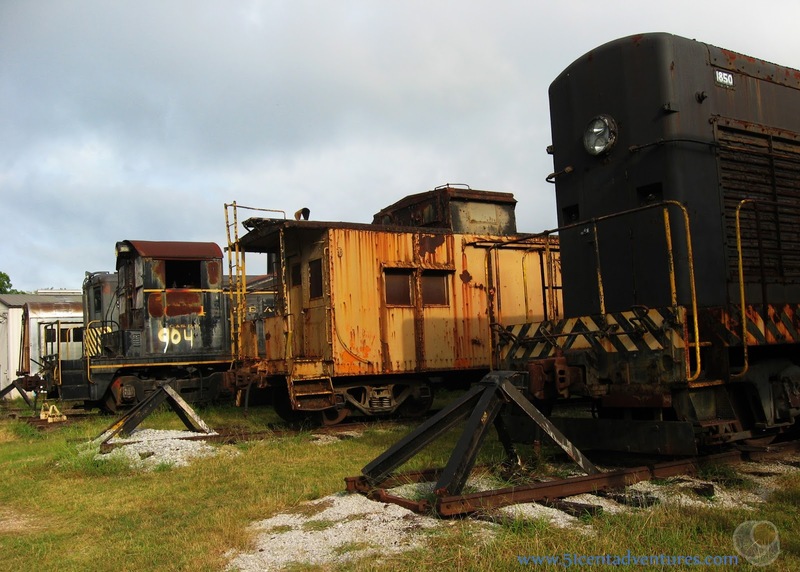 This engine was used for a while by Alabama Power to generate electricity through steam power. We weren't allowed to climb on or into most of the engines or cars, but the Woodward Engine had a staircase that took us right into the engine. My son was having the time of his life. A few weeks ago I found this Day out with Thomas shirt at a thrift store for $1.50. My son loves the shirt so I made sure I packed it so he could wear it while he saw trains. 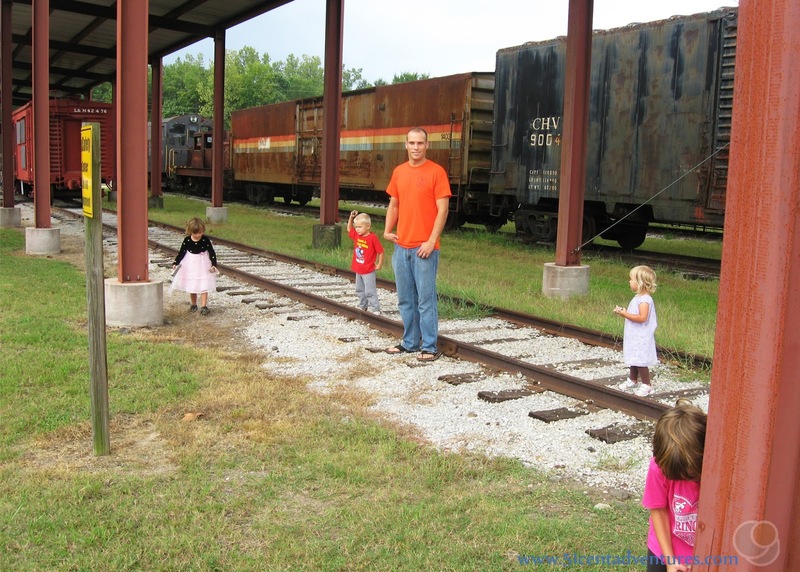 The Clark Train Yard is right next to "real" train tracks. Later in the day a real train went by on those tracks. 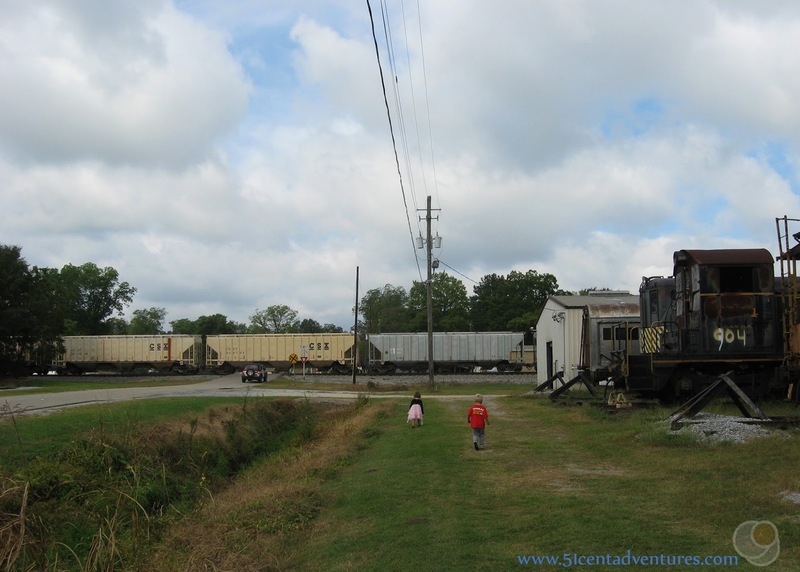 We hurried and ran back over to watch the train go past. 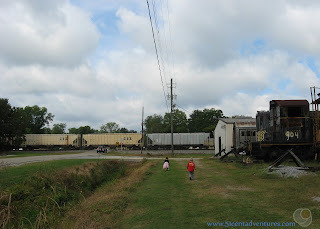 You haven't lived until you've seen a train cross just a few feet in front of you. And here's a picture because I'm proud of how I look in it. I usually don't post pictures of myself because I'm in the process of trying to lose a lot of baby/deployment weight, and I don't always like how I look. But I was really happy with how this picture turned out. I guess all the vegetables I've been eating are paying off. Next to the passenger car was a yard full of old train signals. Some of the signals could be activated with a button. 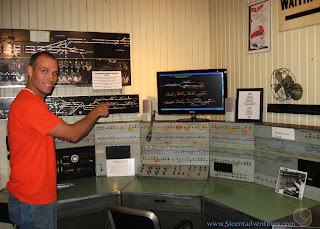 My kids had lots of fun pushing that button to make the signals go off. A few signs would flash and a bell would clang for about a minute. Then my kids would push the button again. There were a lot of people at the museum by this point and I suspect the noise was bothering some of them, but I also think that most people liked hearing it. This was a place for train enthusiasts after all. The gift shop opened at 9:00, and we went in there for a little bit. I was a little nervous about taking my kids inside the gift shop because I thought they'd want to buy something. But all they wanted to do was play with the two toy train tables. 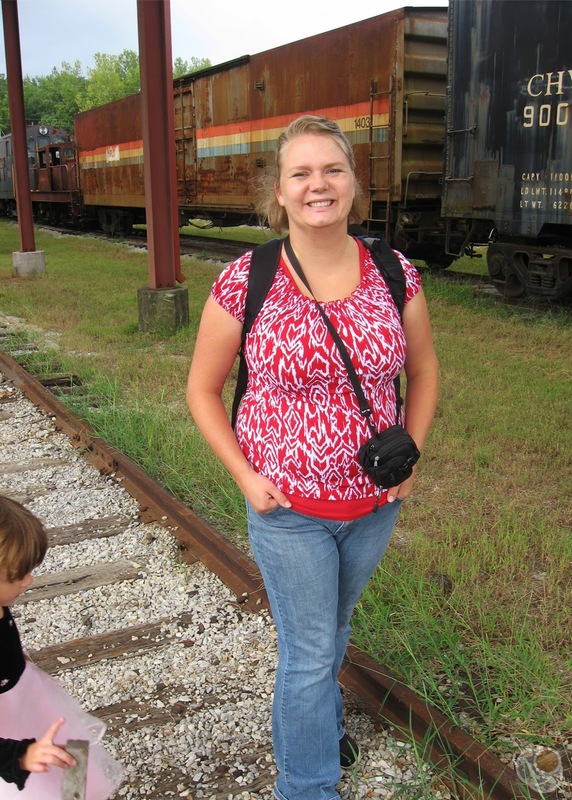 My girls love trains too - not as much as my son - but they will always watch Thomas, or Chuggington with him (they aren't as big of fans of the youtube trains.). All four kids played with the toy trains for at least a half hour. They didn't even notice when I left to use the restrooms. And I don't think they ever noticed the toys lining the walls. The museum opened at 10:00 so we went inside to check it out. I'm sure someone with a love for trains and a long attention span would love the museum, but my kids were in and out of there in 5 minutes. There weren't a lot of things they could interact with. But my daughter did like posing with this luggage in the waiting area. The museum building was also the ticket office for the working train. We could have gone on an hour long train trip - if we were made of money. At $14 for an adult and $10 for children the tickets were way out of our price range. But we were able to see the engine start up, and if we'd stayed until 11:00 we could have seen the train leave the station. The tracks went off into the woods and I'm sure the train ride passed some very beautiful scenery. The train runs every Saturday at 11:00 and 2:00. 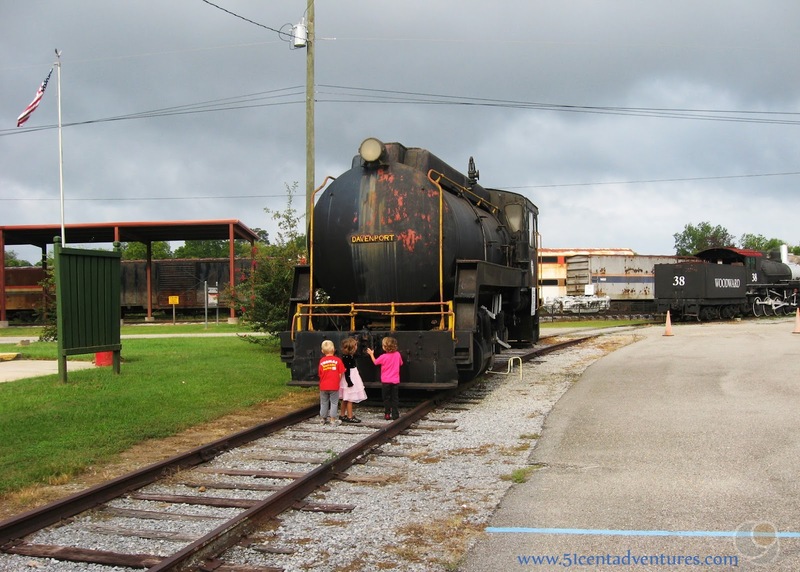 Throughout the year the museum has trains rides for different holidays. Some of holidays with special trains include Easter, Father's Day, Halloween, and of course Christmas. Ticket fares can increase for these trains so plan accordingly. 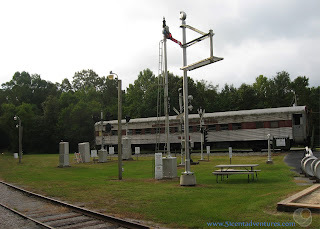 They also have special trains such as Thomas the Train and the North Pole Express come through this station. These tickets cost even more. 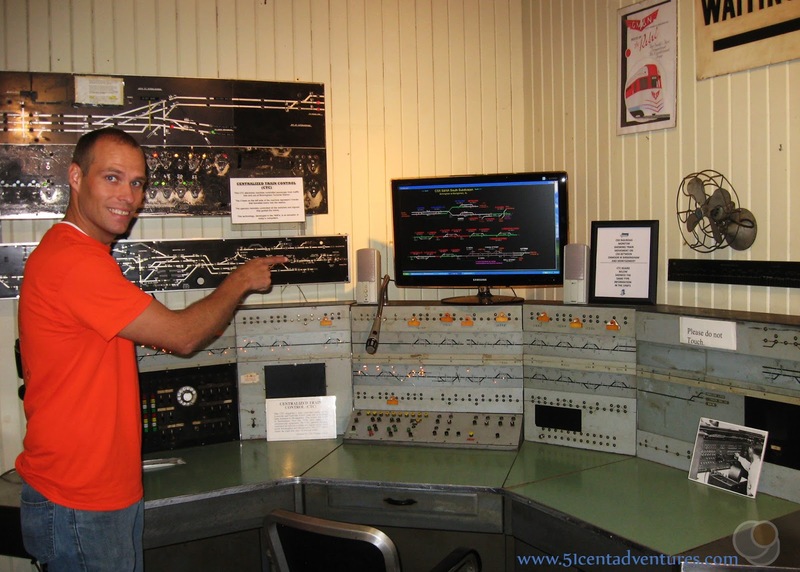 You can look up special train dates, view ticket prices, and even order tickets on the museum website. I was really happy with this museum. I think the only thing it was missing was a model train. But even without a model train my kids were entertained by everything for over two hours. We will definitely come back here again. 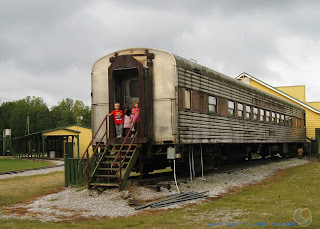 Recommendation: If anyone in your family loves trains they you should definitely visit this museum. There is so much to see here - and most of it is free. You can have a lot of fun at this museum even without going on a train ride. And if you're budget will allow a train ride - well then that makes it even more fun. Directions: The Heart of Dixie Train Museum is only about two miles west of I-65. Take exit 228 and head west on Alabama state road 25 toward downtown Calera. Take a left onto 9th Street and go about half a block. You'll cross over some train tracks and then you are at the museum parking lot. Places Nearby: Oak Mountain State Park is just 20 miles north of the museum. 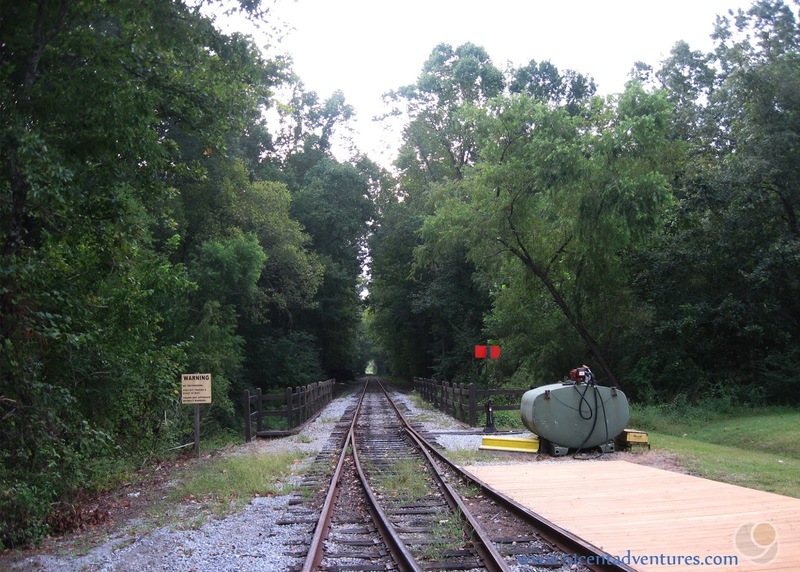 This is Alabama's larges state park and it offers many activities including hiking, biking, boating, and golfing. 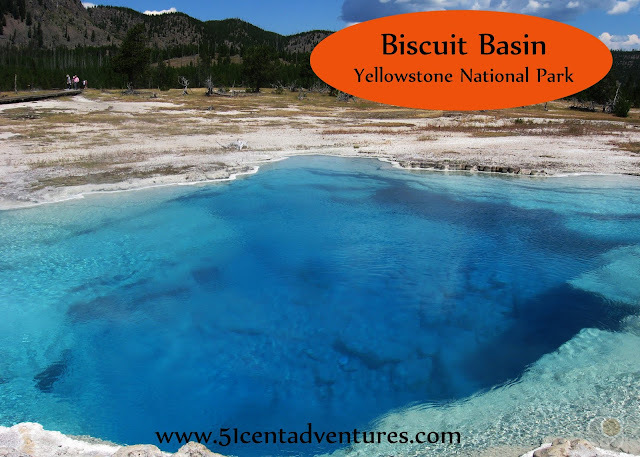 Next time we come to the Birmingham area we might camp here over night.